Technology innovation is a key driver in taking the supply chain forward and changing how you do business. Best-in-class companies that handle Dangerous Goods (DG) understand that technology adoption and integration is critical to effectively and efficiently complying with complex, constantly changing regulations and maintaining a smooth, safe and secure supply chain. 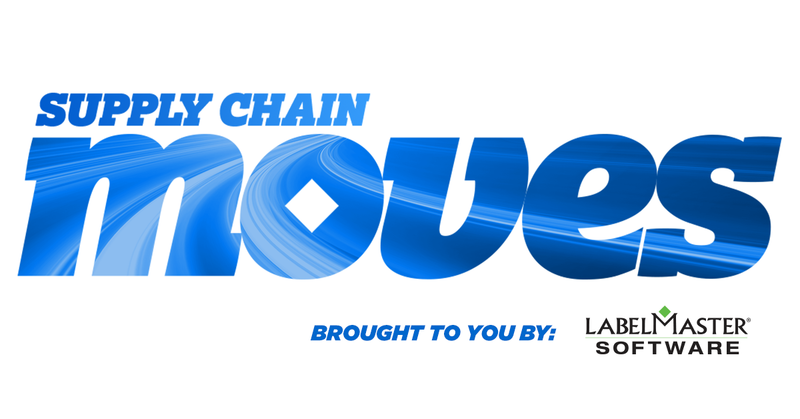 To help companies keep a pulse on technology trends impacting business and the movement of Dangerous Goods throughout the supply chain, Labelmaster is launching “Supply Chain Moves,” a weekly report linking the latest technology news to Dangerous Goods compliance. The 5 Most Disruptive Supply Chain Innovations in 2018: 2018 saw a huge range of technological advancements impacting the industrial supply chain, bringing about increased transparency, enhanced customer service, and improved efficiency – all critical factors in today’s buyer-focused landscape. Here are five supply chain innovations from the past year that are changing the face of industry. How to Unleash Blockchain into Your Supply Chain: Today’s supply chains are poised for a major disruption because of the evolving potential of blockchain technology in increasing efficiency, reducing liabilities, improving compliance and providing the ability to do precise, targeted recalls. Thanks to a variety of usecases along every stage of the supply chain, the industry is looking to unleash a slew of blockchain-based solutions in their operations in the next three years. But can blockchain really deliver on its promise or is it just a glorified database? Smart ERP Releases NetSuite ERP Program for Industries to Improve Operational Efficiency and Accelerate Growth: Smart ERP Solutions, Inc. has joined the NetSuite Alliance Partner Program and launched a new cloud NetSuite ERP practice to help customers across multiple industries improve operational efficiency and accelerate growth. Transforming Your Supply Chain for the Digital Era: The supply chain is considered to be a key area that can greatly benefit from digital transformation. Today’s digital technology can help overcome siloed processes and systems, an inability to synthesize and react to large amounts of data, complexity in managing market demand and more, all while helping companies enhance revenue, reduce cost and increase business agility. FourKites Secures $50 Million to Spur Growth of Supply Chain Visibility: FourKites has secured $50 million in its latest funding round to fuel growth of its real-time visibility network for shippers and carriers. The company will use the funding to expand its supply chain platform with new applications and capabilities, grow its global network of top shippers and carriers, and extend its “zero deadhead” initiative to help shippers share unused truck capacity. Adopt Transportation Management Technology Early to Meet Changing Customer Expectations: It’s a buyer’s market right now, which means companies need to work hard to meet ever-changing customer expectations. Consumers are demanding better visibility to their orders, faster shipping, and even free shipping. Shippers who implement a TMS are positioned to keep up with customer expectations and market growth. Redwood Logistics Launches Innovative Parcel Service: Redwood Logistics announced the launch of a new parcel service that will provide customers with an integrated, cost-saving solution for parcel shipping. The parcel service addition bolsters Redwood’s core competencies, including multimodal brokerage, freight management, warehousing and dedicated distribution, TMS implementation and integration expertise. Technology innovation continues to drive the supply chain forward. Enterprise resource planning (ERP) software, warehouse management systems (WMS), transportation management systems (TMS) and other systems have helped streamline the supply chain and have become a cornerstone of how we do business. The widespread adoption of these systems is no surprise – they can significantly help improve supply chain efficiency, visibility and performance. And organizations continue to integrate these systems to deliver even greater value. Unfortunately, for many organizations, Dangerous Goods compliance has remained siloed – and in many cases – a predominantly manual process. Forward-thinking shippers have invested in dedicated DG shipping software to bring efficiencies to their shipping operations and help ensure compliance with the latest regulations. But even companies that have implemented DG software often minimize its value by leaving it siloed from the rest of the organization. To truly optimize DG shipping operations, ensure compliance and drive real business value, a company must successfully integrate compliance with the rest of its operations and systems. Specifically, with their ERP, TMS and WMS systems to achieve best-of-breed functionality via a familiar user interface. This is what will truly help automate operations, ensure compliance across the supply chain and deliver real business value. What supply chain tech trends are you keeping an eye on this week?